Mr. Ibuka, one of the founder of Sony(was Tokyo Telecommunications Engineering Corporation at the time of establishment) drew up the Founding Prospectus. In this he wrote "To establish of an ideal factory that stresses a spirit of freedom and open-mindedness, and where engineers with sincere motivation can exercise their technological skills to the highest level" at first chapter. 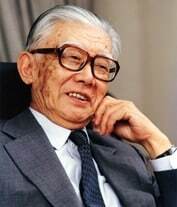 He also mentioned "To reconstruct Japan and to elevate the nation's culture through dynamic technological and manufacturing activities", "To rapidly commercialize superior technological findings in universities and research institutions that are worthy of application in common households", and "To promote the education of science among the general public" as purpose of incorporation. These philosophies are inherited as Sony's DNA and basis of Sony's CSR activities. The basic policy of CSR is described in "Sony Group Code of Conduct" as below. "It is the core corporate responsibility of Sony to society to pursue its corporate value enhancement through innovation and sound business practices and contribute to developing a sustainable society. We will all give due consideration to the impact of our business activities on the interests of our stakeholders including shareholders, customers, employees, suppliers, business partners, local communities and other organizations." This shows the strong spirit that Sony's CSR activities can contribute to build the better sustainable community through sound business activities which can establish rigid trust from the stakeholders and robust business activities themselves, and Sony's power of innovation the stakeholders expects. Sony believes such a CSR activities of each employee can realize the sustainable society and advance Sony's business value.